Grand Ave is probably one of my most favorite street in Los Angeles. 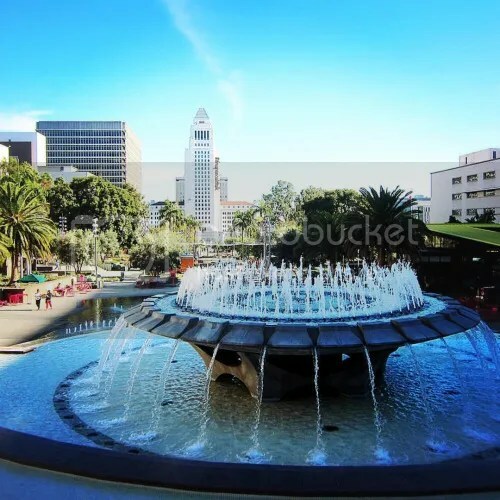 It’s a mixture of business and tourists and the most eclectic sites in Downtown Los Angeles; from the performing arts center to the museums and from the civil courts to the finance world, it’s one of those places where you can feel really busy or really relaxed depending where you’re situated. It’s probably also one of the expensive streets that you will not find cheap parking. If you find yourself on Grand Ave; I recommend parking on Hill and walking up to Grand since most of the parking is around $20 (all day) and you can easily find a $10 parking close by. 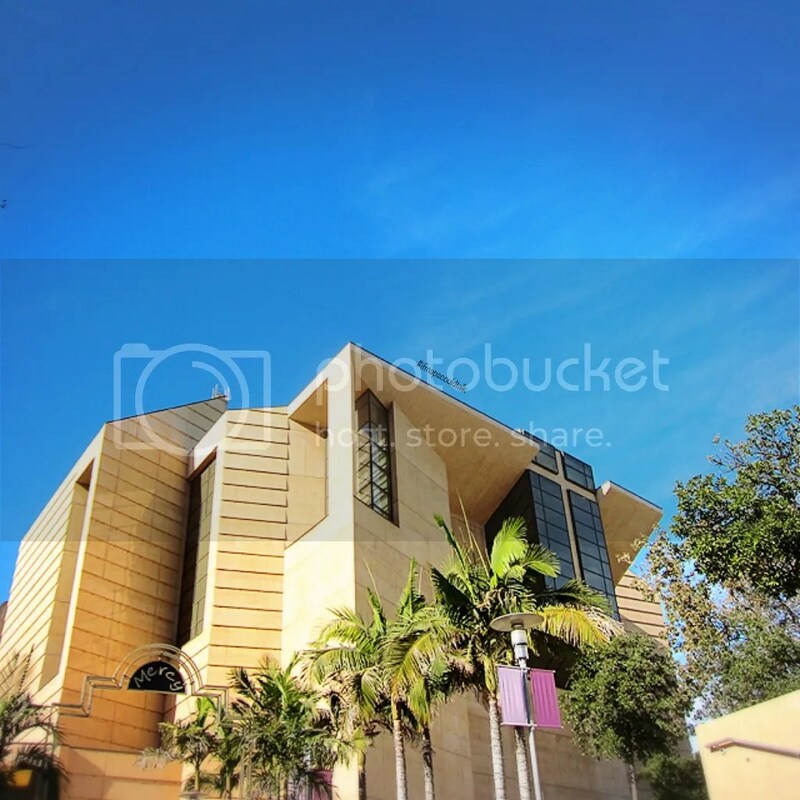 At the end of Grand, you will find the Cathedral of Our Lady of the Angels. This Cathedral isn’t like many you see in the world as the architecture is very post modern. It’s usually open for prayers and they have mass services at 7 am and 12:10 pm from Monday to Friday and of course Sunday at 8 am and 10 am. Across from the Cathedral is where most Americans dread going; jury duty. But before that, there is a park that Los Angeles call our own Grand “Central” Park. It’s not like New York’s Central Park but good enough. This is where the big events happens; New Years Eve, Festivals, Concerts, etc. If you see a line going into the Court House, that’s where jury duty is. 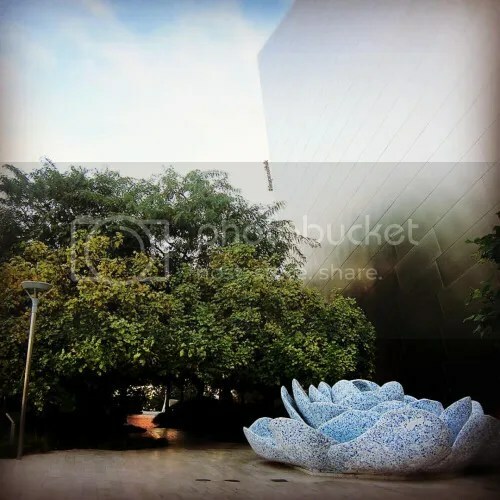 However, there’s a café on the 9th floor (panorama café) that has a great view of Downtown Los Angeles and a bird’s eye angle of the Walt Disney Concert Hall. 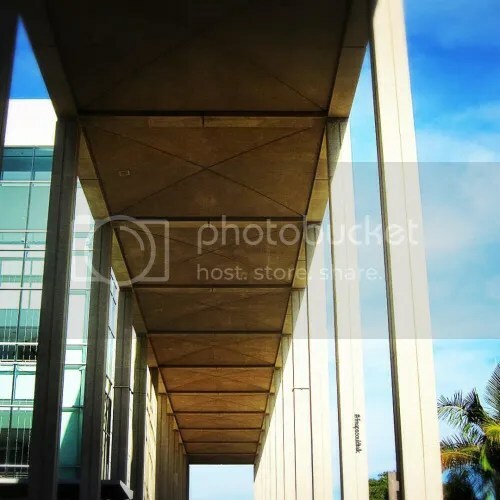 Across from the Grand Park and the Court House are Ahmanson Theatre, Mark Taper Forum, and the Dorothy Chandler Pavilion. This is where a lot of the Theatre performances are held, from the LA Music Chorale to Broadway Shows to the LA Opera. Behind these buildings, is the Los Angeles Department of Water and Power. Here you can find one of the best views of the Los Angeles skyline and it has the a water effect for one of the best pictures ever! 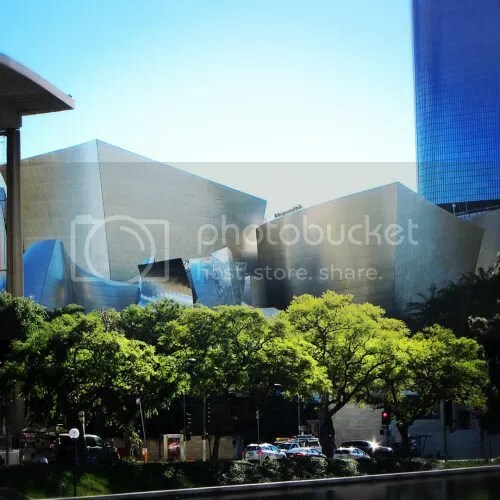 If you continue down Grand Ave, you will find the famous Walt Disney Concert Hall which houses the Los Angeles Philharmonic. They also have a secret Garden (the Blue Ribbon Garden), that can be accessed from the side or the front of the structure. This garden is the best place to eat during lunch because not a lot of people know about it (not yet at least). If you continue walking, you will find two museums. MOCA and the Broad. MOCA is free on the first Thursday of the month from 5pm to 8pm. The Broad is free admission everyday except for Monday when it’s closed. For further information on the Broad and my experience, please see here. 1. Mendocino Farms: one of the best sandwiches you will ever eaten. I recommend the Not-so-fried Chicken. If you see a long line, don’t fret it moves quickly. 2. 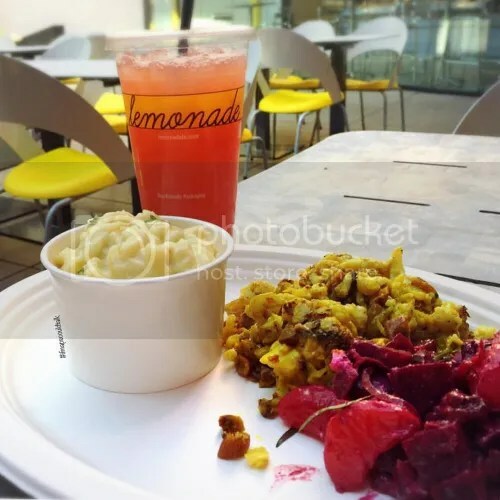 Lemonade (MOCA): it’s really overrated and will break your wallet but the different salads are really good. 3. Blue Cow Kitchen and Bar: if you want a sit down restaurant. This is the place to go! It’s by the same owners of Mendocino Farms and their burgers are amazing (get the runny egg!). During the summer, at the water court, they usually have grand performances. 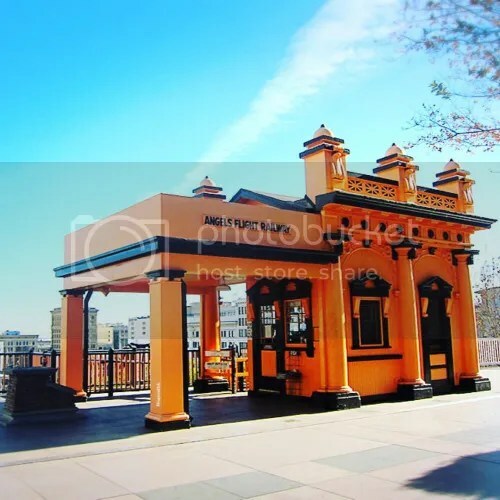 Further, this is where you will find the top of Angel’s Flight. From here, you can either find your way down to Grand Central Market (as Angel’s Flight is not operational) or you can keep going on Grand and find another set of stairs to go to the Los Angeles Public Library. I hope you will like Grand Ave as much as I do. This entry was posted in Downtown, See and Do and tagged Grand Avenue, Los Angeles. Bookmark the permalink.